Everyone is looking for ways to save money these days. While thriftiness is an admirable goal, the irony is that cost-cutting on essential items often ends up creating even more expenses when they fall apart or can't do the job. Don't be penny-wise and pound-foolish. You won't be sorry investing money in these six household essentials for your luxury Springs Apartments home. 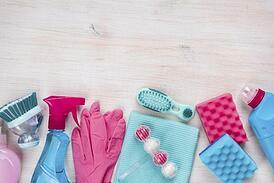 Vacuuming doesn't simply make your home look good. It extends the life of carpeting by removing dirt and debris that can get ground in below the surface. Inexpensive, less powerful vacuums create more work and break down easily. Quality models are more effective and last longer. Chances are you won't be getting all of your meals from the microwave. Even Bobby Flay couldn't cook a good meal with cheap, worn-out pots and pans. You don't need a fully appointed gourmet kitchen, but a couple of sturdy pots and pans and a good knife set are must-haves. While our 24/7 maintenance teams are on hand for the biggest and most difficult jobs, you're not likely to call on them to assemble a new IKEA TV stand. Such tasks don't require a Bob Vila-worthy tool kit, but you won't get much done with just flimsy screwdrivers and pliers. Home improvement stores have good pre-packaged tool kits designed specifically for household use. A plunger may not be the most exciting item to shop for, but it's guaranteed that you will need it at one time or another. Spending a little more for a good plunger is a small tradeoff for avoiding the mess and inconvenience that results from using an ineffective one. This is one area where cutting corners can really add up over time. Sheets and towels have to stand up to everyday use. If you buy inexpensive ones, you'll be replacing them constantly. After all, who wants to get out of a shower and grab a scratchy, worn-out towel that doesn't absorb any water? Does it seem foolish to spend money on a trash receptacle? You won't think so when your inexpensive one breaks and leaks, or your kitchen smells funky because the garbage can has no lid. Is there one household must-have that you refuse to skimp on? Let us know in the comments!